The healthcare sector is on the cusp of sweeping disruption. 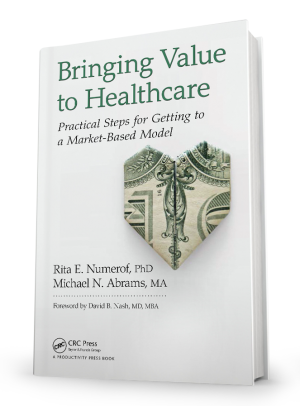 The hallmarks of the old system – pricing that’s disconnected from outcomes and incentives for treating sickness rather than maintaining health – are no longer sustainable. And yet, after decades of financial success, it’s difficult for most established industry players to grapple with meaningful changes to their business models. See our vision for a market-based model. Save 20% by entering promo code AWQ44 at checkout. Alfred Lewis, Founder and President, Disease Management Purchasing Consortium International, Inc.